All jeans have five pockets – not four. But nothing really fits in that tiny pocket. What is that little jeans pocket actually for? Have you ever wonder why that tiny pocket on the front of your jeans exists? Well, wonder no longer. 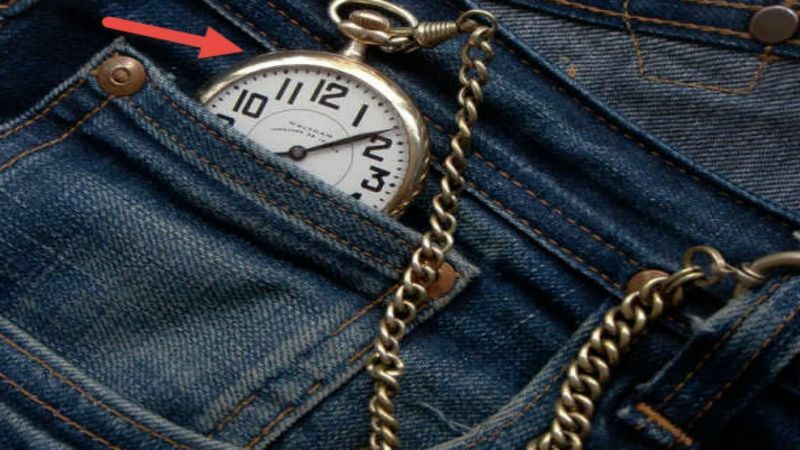 It's a watch pocket, originally for men who wore pocket watches and needed a protective place to store them. This little pocket, or the "fifth pocket" as some denim designers call it, appeared on the very first version of Levi's back in 1873. According to the Levi Strauss website, it was “originally included as protection for pocket watches, thus the name.” It was worked into the design to protect cowboys' pocketwatches from falling out of their pants as they rode around on horses or worked on their ranches. Wearing it on a chain around their neck would cause it to easily tangle or break. Even though cowboys are still around, pocketwatches largely fell out of favor halfway through World War I, when soldiers needed a quick and accessible way to tell time. Digging around in their pockets for a watch just wasn’t practical, and the practice of wearing a wristwatch became a mainstay.